We’ve selected what we feel are the key examples of Passivhaus Housing. We cover completed sustainable buildings and green architectural designs across the world. The focus is on contemporary Offices buildings. Dundon Passivhaus is an extraordinarily understated and unpretentious building set in a beautiful rural landscape.It is a substantially self-build project by the architect for his family’s occupation, designed and built to Passivhaus standards but with the scope to open windows as you would in any conventional building. 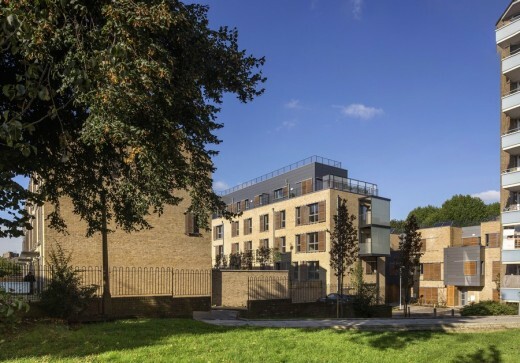 At the time of completion, Sulgrave Gardens is the biggest certified Passivhaus project in London, and the first mixed tenure Passivhaus scheme in the UK, providing green living to people on all incomes and protecting against fuel poverty. Architype has submitted a planning application for the UK’s largest Passivhaus housing scheme for a rural site, near to our Herefordshire office. 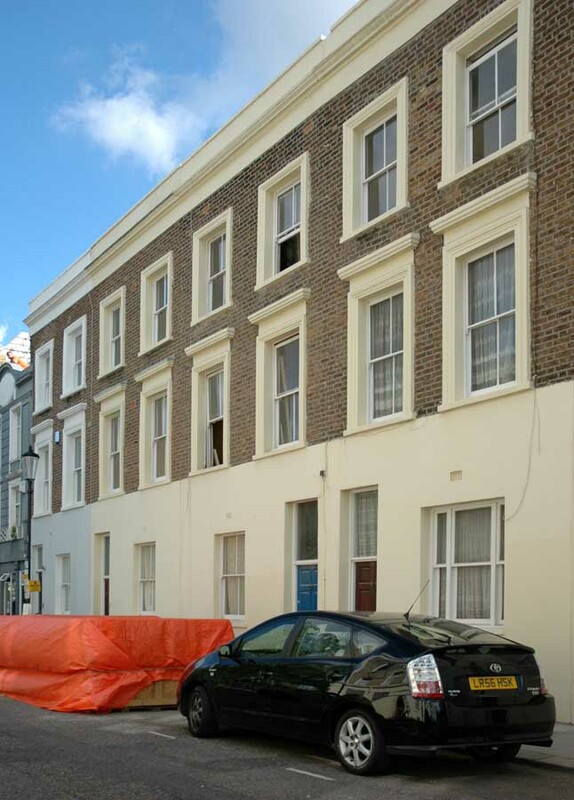 The project is the first stage in realising an ambitious vision to transform both the quality and the sustainability of developer housing in the UK. Whilst there is a presumption in favour of sustainable development under the NPPF, much proposed new housing is not actually ‘sustainable’. Whilst developers appear to be able to sell what they build, the RIBA Future Homes Commission found that 70% of people say they would not buy a new house due to the poor quality of design. The Passive House “Bruck” is a model apartment complex, consisting of 36 one room staff flats, 6 two room executive suites and 4 three-bedroom model apartments. This design approach plays a central role in the future strategy of recognized Chinese real estate development group Landsea. The company’s plans to establish a research and development centre in Changxing acts to test, improve avnd implement innovative, energy saving and sustainable building practices in China. The first Passivhaus homes in Wales for social housing, including the UK‟s first zero carbon Passive House, completed in summer 2010. Designed by bere:architects the two progressive houses are the central features of Future Homes, a demonstration centre for sustainable development and construction that is part of the 2010 National Eisteddfod festival of Wales. In 2009 bere:architects won a competition to design low cost houses which would showcase the Passivhaus concept and feature innovative measures for energy efficiency and eco excellence. The competition was a joint initiative by the United Welsh Housing Association, BRE, Blaenau Gwent Council and the Welsh Assembly Government. 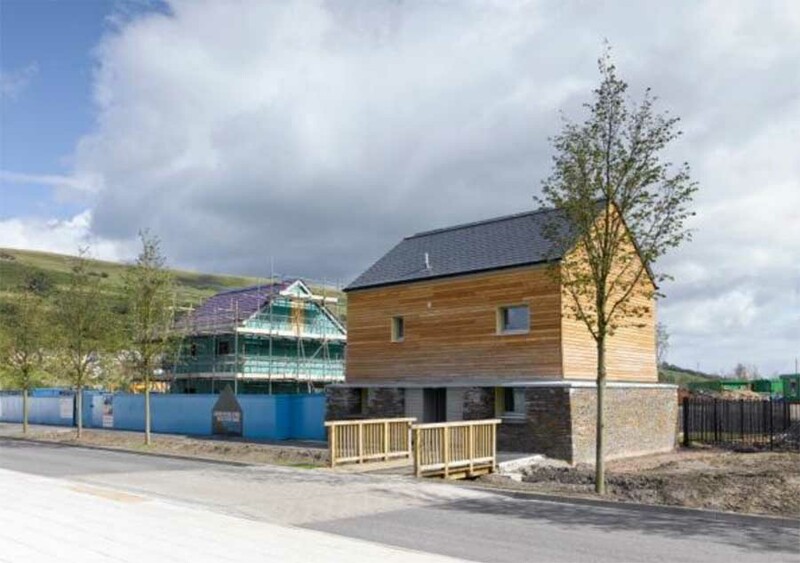 The houses are now complete and open for visitors at The Works; Ebbw Vale, a disused steelworks which is the site of the 2010 National Eisteddfod. Paul Davis + Partners Architects together with client Octavia Housing and the 100 Princedale Road Team have received the first Passivhaus certificate for a retrofit project in the UK, cutting CO2 emissions by 83% and saving tenants £910 per year in fuel bills. Paul Davis + Partners alongside engineers and builders Ryder Strategies, environmental consultants Eight Associates and consultants/ project managers Greentomatoenergy, transformed , the 1850s terraced house in a Holland Park conservation area for client Octavia Housing by refurbishing it to strict Passivhaus levels. This is a German low-energy building standard that requires the home, amongst other criteria, to use less than 15kWh of energy to heat it per m2 per year, compared to the UK average of 130kWh. The Hastoe Housing Association development aims to provide affordable homes for a rural community – whilst at the same time aiming for high levels of sustainability. The houses, a mixture of homes for rent and for shared ownership, are designed to be super energy efficient, and will not only comply with Passivhaus principles but also meet the demands of Level 4 of the Code for Sustainable Homes.Passivhaus standard buildings retain heat from passive solar gain, eliminating the need for central heating and reducing fuel costs. 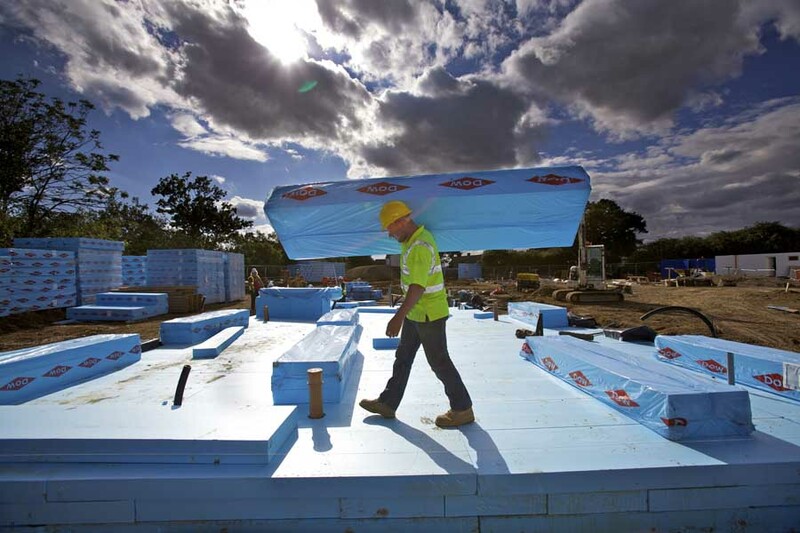 The standard requires very high levels of insulation, a design that makes the most of solar energy and superb sealing throughout. 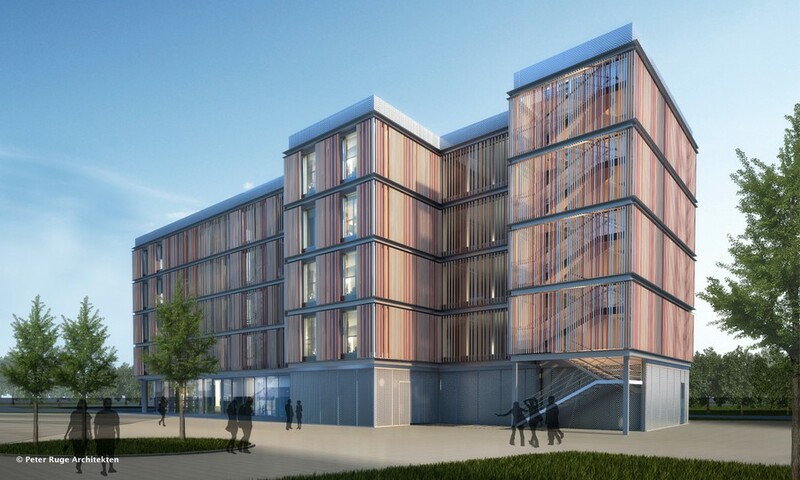 The first ever UK conference devoted entirely to the Passivhaus standard next Monday 11th October includes a keynote speeches by Prof Wolfgang Feist, the creator of the Passivhaus standard, and the Secretary of State for Energy and Climate Change, Chris Huhne.